Worship in the open air commenced with Adam and Eve in the Garden of Eden, when in a state of innocence. After the fall of man, worship by sacrifice was instituted, which must, of course, be in the open air. Noah, Job, Abraham, Isaac, and Jacob, celebrated worship in the open presence of heaven. So also did the Children of Israel at Mount Sinai, and it was established by the hands of Moses. In the Promised Land, the ten thousands of Israel regularly celebrated the worship of God in the open air. Our Lord Jesus Christ carried on religious services in the open air, and his apostles followed the example. Sometime about the year 1801 or 1802, Camp Meetings were begun in the United States of North America. They soon rose to a great height, and have been attended with great success. 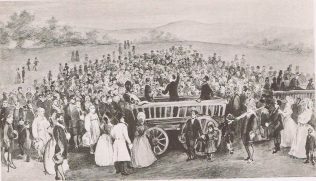 It is believed that as many souls are brought to God in America, by means of Camp Meetings, as by all other means put together. 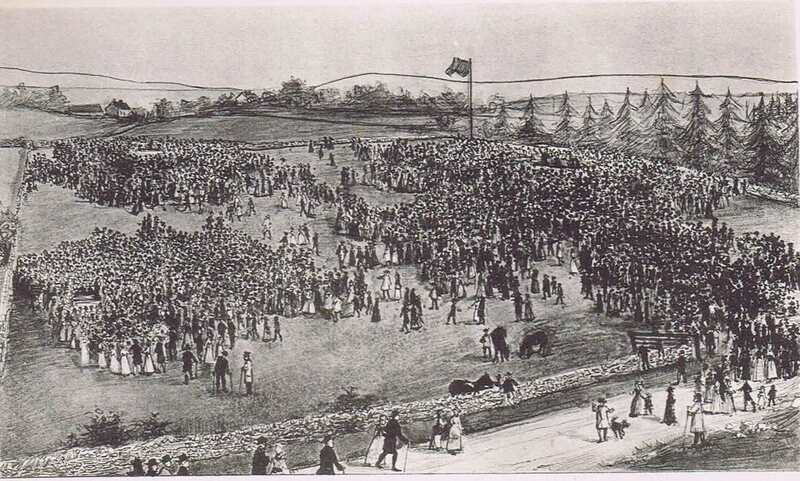 In England, the first religious meeting, ever known to bear the title of ‘A CAMP MEETING’, was held on Sunday, May 31, 1807; upon Mow, a large mountain running between Staffordshire and Cheshire. 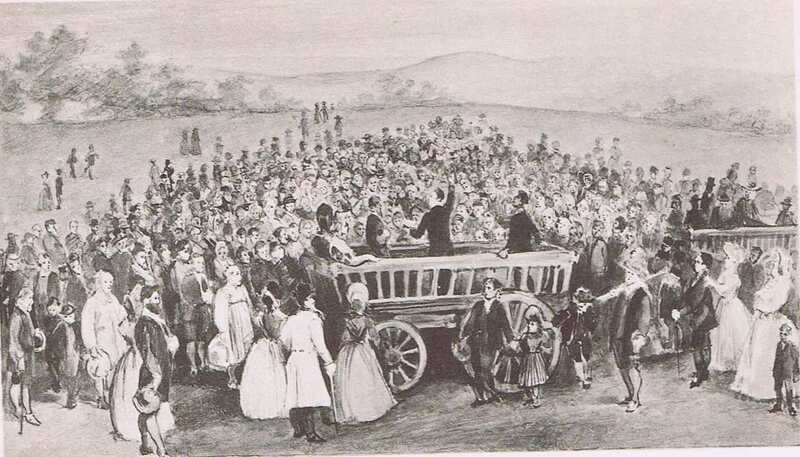 A day’s praying upon Mow, was first proposed in 1801. The thought simply arose from a zeal for praying, which had recently sprung up in that neighbourhood. But the thing was not carried into effect till May 31, 1807; since which time the English CAMP MEETINGS, have got an establishment. It is a striking circumstance, that the thought which led to these meetings should, without any communication, arise in two nations nearly at the same time.